India being a tropical country, almost all its regions suffer from heat and humidity, some more than the others. The urban areas also suffer from dust and pollution all of which can be mitigated if you have an Air Conditioned cabin. In case of the steering, tight parking spaces and novice drivers, both are found in abundance in our country. Secondly, the difference between the EMI of AC-PS and non-AC-PS variants is extremely small and it is almost completely compensated by better resale value of AC-PS variants, in the used car market. Therefore, we do not recommend any car without AC & PS to our prospective buyers. to those customers who envisage a usage of over 1 to 1.5 Lakh kilometers in the next 5 to 7 Years, with sizeable amounts of highway usage. For them it is one of the most affordable and fairly comfortable option available in the market. But then we do not recommend it to those who can stretch their budget just 15-20% further, as they can get a car that is offers immensely better performance, drivability, ride quality, ergonomics, handling and refinement than the Tiago, which is the Figo diesel. To put things into perspective, capabilities of the Figo diesel are at such a level that it outpaced the Punto Abarth & Polo GT TSI around a racetrack, during a track-test conducted by a reputed automotive magazine, needless to say the Tiago diesel is nowhere near as capable. Check out our Tiago vs Figo Comparison for an in depth analysis of the situation. We also do not recommend the Tiago ‘XE’ diesel to those who are buying a car mainly for commuting within the city as for them the Kwid ‘1.0 RXT AMT’ is a far more suitable option. Firstly, it’s got the ‘AMT’ automatic transmission which can eliminate half the fatigue of city commutes by eliminating the constant need for clutching-de-clutching and gear rowing in stop-and-go traffic. On top of that it has Driver’s Airbag, Touch-screen Infotainment System and a list of other features over the Tiago ‘XE’ as well. Check out our Tiago vs Kwid Comparison for an in depth analysis of the situation. The problem with the Tiago ‘XM’ Diesel is that it is just 60,000 Rs. or 10% cheaper than the Figo Base diesel in terms of Overall Ownership Cost. For that 10% extra the Figo diesel offers immensely better performance, drivability, ride quality, ergonomics, handling and refinement than the Tiago. To put things into perspective, capabilities of the Figo diesel are at such a level that it outpaced the Punto Abarth & Polo GT TSI around a racetrack, during a track-test conducted by a reputed automotive magazine, needless to say the Tiago diesel is nowhere near as capable. If you are getting that at a paltry 10% additional expenditure over the Tiago, then logically it makes no sense to us, to go for the Tiago XM instead of a Figo Base. Check out our Tiago vs Figo Comparison for an in depth analysis of the situation. The problem with the Tiago ‘XT’ Diesel is that it is just 60,000 Rs. or 14% cheaper than the Figo Ambiente diesel in terms of Overall Ownership Cost. For that 14% extra the Figo diesel offers immensely better performance, drivability, ride quality, ergonomics, handling and refinement than the Tiago. To put things into perspective, capabilities of the Figo diesel are at such a level that it outpaced the Punto Abarth & Polo GT TSI around a racetrack, during a track-test conducted by a reputed automotive magazine, needless to say the Tiago diesel is nowhere near as capable. If you are getting that at a paltry 14% additional expenditure over the Tiago, then logically it makes no sense to us, to go for the Tiago XM instead of a Figo Ambiente. Check out our Tiago vs Figo Comparison for an in depth analysis of the situation. The problem with the Tiago ‘XZ’ Diesel is that it is just 60,000 Rs. or 11% cheaper than the mid-range Figo Trend diesel in terms of Overall Ownership Cost. For that 11% extra the Figo diesel offers immensely better performance, drivability, ride quality, ergonomics, handling and refinement than the Tiago. To put things into perspective, capabilities of the Figo diesel are at such a level that it outpaced the Punto Abarth & Polo GT TSI around a racetrack, during a track-test conducted by a reputed automotive magazine, needless to say the Tiago diesel is nowhere near as capable. 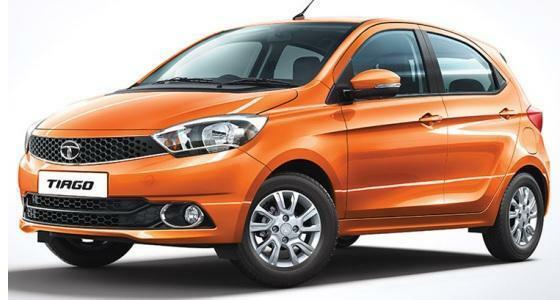 If you are getting that at a paltry 11% additional expenditure over the Tiago, then logically it makes no sense to us, to go for the Tiago XZ instead of a Figo Trend. Check out our Tiago vs Figo Comparison for an in depth analysis of the situation.